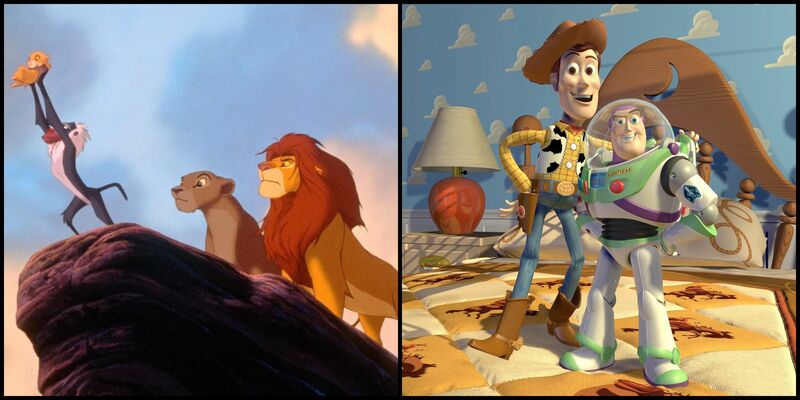 Pixar is a subsidiary of Disney and their first feature film was 1995's Toy Story, which became an instant classic. In addition to the film's various sequels, their reputation for quality would only improve over the years, thanks to The Incredibles, Finding Nemo and Inside Out. While not every single one of their films is regarded as a classic, their track record for producing great work speaks for itself. Both Disney and Pixar have produced any number of great animated adventures that have thrilled and inspired entire generations, so there's no real need to pit the quality of their work against one another. 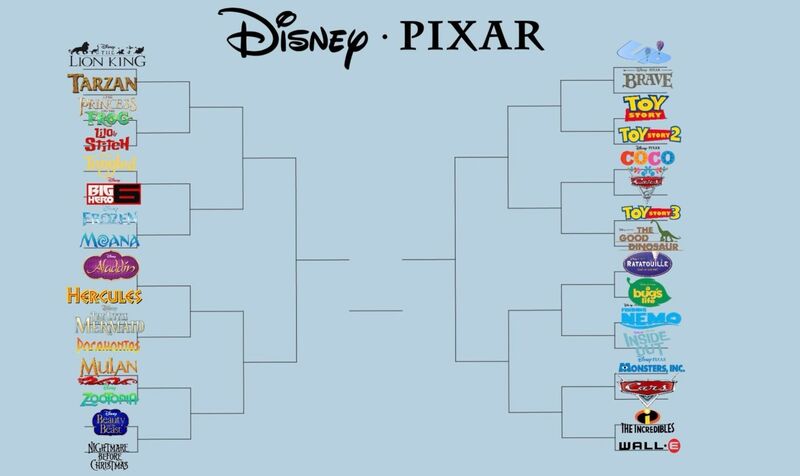 Of course, the internet is always there to stoke spirited debate, which led to the creation of the Disney/Pixar bracket. This fiendish bracket originated with Twitter user @yeeitsanthonyy who created a blank bracket and challenged others to pick their top Disney and Pixar movie until only one survived. While this bracket inspired many, many others that either added more movies to the line-up or created slightly easier matches, the original bracket remains the best. It's exactly because it features so many great movies and forces people to select one undeniable classic over another that makes it so challenging. Deciding whether Finding Nemo is just a little better than Inside Out or Aladdin is more of a masterpiece than The Little Mermaid is near impossible - but it certainly inspires debate. Some picks feel easy also since most people would tend to agree Toy Story 3 is somewhat better than Cars 2. Then again, others could disagree, which is when a personal bracket can get very interesting. That's one reason this original Disney/Pixar bracket went viral and launched plenty of arguments. In the end, the bracket is intended to be fun and that's the spirit it should be approached with. Roaring debates over whether The Lion King deserves to triumph over Wall-E should only be used to fuel discussion over how good they both are. The choices are always going to be subjective, so if someone comes away with The Good Dinosaur as the clear winner of their personal Disney/Pixar bracket, that's fine too.